The ceremony of being Called to the Malaysian Bar involves a qualified person being admitted as an Advocate & Solicitor of the High Court of Malaya. 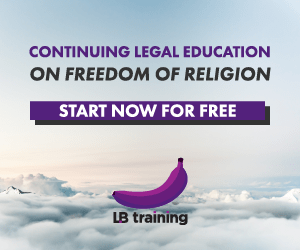 A pupil would have completed 9 months of pupillage, and would have been eligible to file the necessary court papers and with the Call being heard in open Court. As the Call to the Bar is still a formal Court process, a practicing lawyer must be there to apply, or to move your Call (and hence such a person is also called a ‘mover’). The mover must be of at least 7 years in practice at the Bar and cannot be from the same law firm as the pupil. The pupil’s master would often find a mover for the pupil. Unlike in some other jurisdictions, each pupil will have a mover to say a few words in moving the Call and in demonstrating why the pupil is a fit and proper person to be admitted as an Advocate & Solicitor. This is ordinarily an opportunity for the mover to also give thanks, on behalf of the pupil, to the pupil’s loved ones. In trying to control the length of sometimes overly elaborate speeches, there is a recommended format for movers to follow and usually, the pupils will be the one who writes the speech beforehand and then passes the speech to the mover (sometimes on the morning of the Call itself!). A few months ago, I had the opportunity to move the Call of a good friend, Quin Er. I wasn’t going to adhere to the recommended format and I wanted to write out and craft out a speech for her. I had already known Quin as she was a dragon boat team mate of mine. Having coached her and paddled with her for some time, it was easy to insert the personal qualities that I had come to know of her. I had earlier also sat down with her to have a chat to find out more about her parents and her background. Her love for her parents was very apparent and I wanted to place her parents front and center in the speech. I also wanted to weave for Quin a dragon boat metaphor since it was a chance for a dragon boater to move the Call of another dragon boater, and for a friend to say a few words to another friend at such an occasion. More sample Call speeches can be found at LoyarBurok over here, and they are recommended reading. With some of the other members of the cult that is the KL Barbarians. Saya, Lee Shih, mewakili pihak Pempetisyen Chan Quin Er. Bersama-sama saya adalah rakan-rakan bijaksana saya dari badan-badan berkenaan yang telah pun diperkenalkan kepada Yang Arif. Saya memohon untuk meneruskan di dalam Bahasa Inggeris. 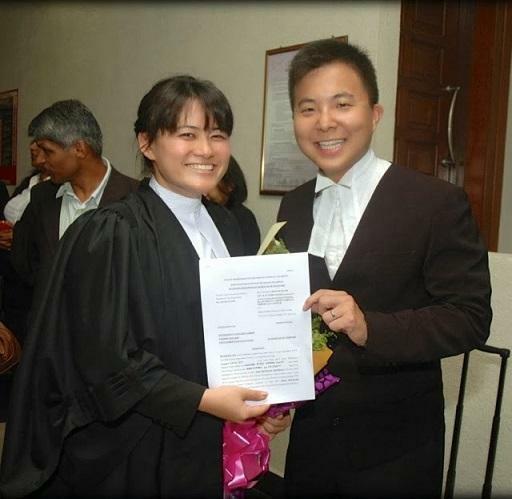 The Petitioner is the daughter of Dato Freddy Chan Loong Fui and Datin Angie Chan who are both present in Court today. In the Petitioner’s own words, her parents are her greatest idols and her pillars of strength. She views her father and mother as her best friends and they are her mentors every single day. The Petitioner’s family came from very humble beginnings, but that never prevented them for providing everything for their children. Although we typically view today as a day of a parent’s pride at their child’s milestone, it is the Petitioner who is so immensely proud of her parents. The Petitioner informed me that words are never enough to express the depth of her gratitude to her parents, Dato Freddy Chan and Datin Angie Chan, and it is hoped that these few simple words capture but a small fraction of her love for her parents. My Lord, from an early age, the Petitioner has always believed in giving back to the community, and she volunteered to help the destitute and the poor. Without resorting to any cliches, the Petitioner pursuit of the law was in order for her to understand the law in order to help others. In studying the law, the Petitioner completed her University of London law degree and CLP at ATC. In October 2012, the Petitioner embarked on her pupillage in the chambers of my Learned Friend, Fiona Bodipalar, where the Petitioner received comprehensive guidance and tutelage. Her selflessness is demonstrated when she served the country as a member of the army reserve based in TUDM Sungai Besi for 2 ½ years. There, she was a sharp shooter for the 100m range. Her eye for detail and being able to shoot, is also seen in her ability to shoot stunning pictures on her camera. The Petitioner’s passion for doing pro bono activities goes back many years, where not only has she been volunteering at the Sunlight Charity Foundation but she has also been providing help to victims of domestic abuse. On a more personal note, I am proud to say that I am a dragon boat team mate with the Petitioner, having coached and been team mates with the Petitioner for a year now with the KL Barbarians. I have seen firsthand her qualities as a dragon boater, qualities such as passion, perseverance, teamwork and dedication, all of which will no doubt serve the Petitioner well as she seeks to become an advocate & solicitor. Very much like a dragon boat race, the Petitioner has started learning the ropes but her journey as an advocate & solicitor will be lifelong one of learning and of continuing to hone her skill. This journey will be made that much easier however, as the Petitioner has passion in what she does and she will have lifelong friends in the same boat. Her parents, Dato Freddy Chan and Datin Angie Chan. The Petitioner recognises that she would not be who she is today without their constant love, support and faith in her. Her sister, Winn Er, and brother, JJ, to thank them for being the loveliest siblings. To her pupil master, Ms Fiona Bodipalar, for being the most generous and patient pupil master. To Mr Anand Ponnudurai and Mr Alex De Silva, for the continuous guidance throughout her pupillage, and to all the colleagues at Bodipalar Ponnudurai De Silva, especially Mr Donny Kwa for being a great and supportive friend. To her dear friends, Wan Qian, Christopher, Wan Ying, Andrew, Su Sean, Jit Han, Eve and Richie. Her cousin Leo who is also her comrade in the CLP. To her Captain and friend, Janet Chai. To her referees who are present today, Dato Fu Ah Kiow and Dato Ho Kam Phaw, who have known her since she was a child to thank them for the motivation and guidance. To Dato Chai Kim Sen, Chairman of the Sunlight Charity Foundation, for giving her the opportunity to give back to society at such a young age. Finally, to Mr Joseph Low for being a selfless and dedicated teacher. I believe the Petitioner’s papers are in order and that my learned friends from the relevant bodies have no objections. Therefore, I humbly pray that the Petitioner, Chan Quin Er, be admitted as an Advocate & Solicitor of the High Court of Malaya. I pray for order in terms of the Petition. Lee Shih is a corporate litigator and has a passion for international arbitration, corporate litigation and insolvency work. 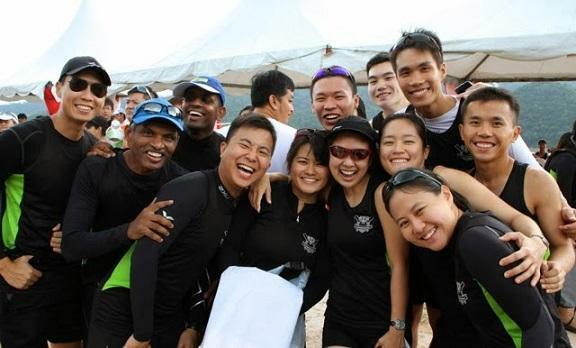 He juggles work with his other passion of dragon boating with the KL Barbarians team. He blogs at leeshih.com and tweets at @imleesh. Posted on 11 February 2014. You can follow any responses to this entry through the RSS 2.0. Read more articles posted by Lee Shih. OUR LORD IS ONLY GOD.